I make sculptural ceramics for interior and exterior spaces. 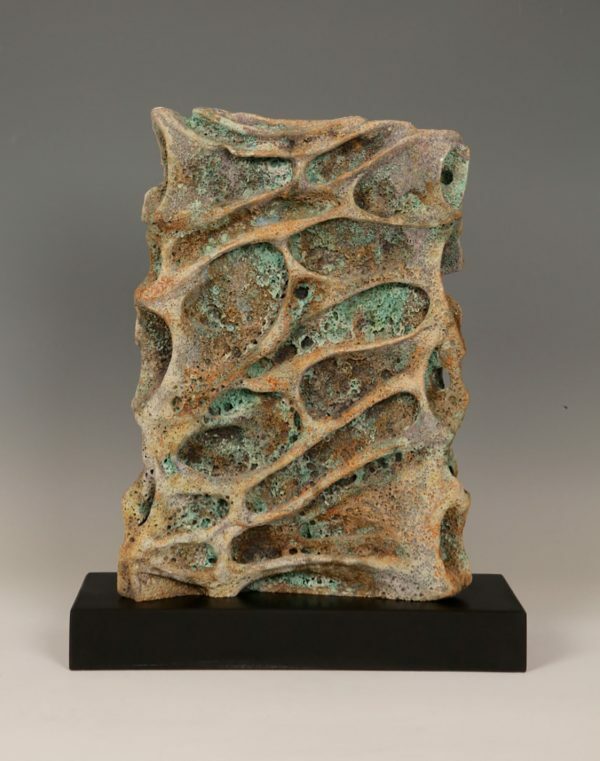 The inspiration for my work is derived from natural form, texture, erosion and geology. I am also inspired by ancient and modern architecture . All my work is handbuilt and carved by hand using found objects, corals and loop tools. Once bisque fired I further enhance the natural eroded appearance by multilayering between 10/15 different volcanic glazes, oxides and raw materials.